The Forum Cinema opened in Fore Street on 5th August 1939, with seating for 1,800 persons. It held a prime position in what was then Devonport's main shopping thoroughfare. Fore Street was an extremely busy place and the cinema very popular. Although the building still survives its function as a cinema had a short life. World War II broke out within weeks of The Forum opening and in less than two years it had suffered bomb damage. Once the building was repaired films continued to be shown until the cinema closed on 14th May 1960. Following the war the cinema was used a few times by parliamentary candidates during the elections. In February 1950 Winston Churchill spoke at The Forum in support of his son, Randolph Churchill, and in the 1964 elections Harold Wilson was said to have given a rousing speech there, during which he ridiculed the Royal Navy, claiming it to be overstaffed. David Owen was present in the cinema during Harold Wilson's speech, he was then the candidate for Torrington; later he became Devonport's MP. 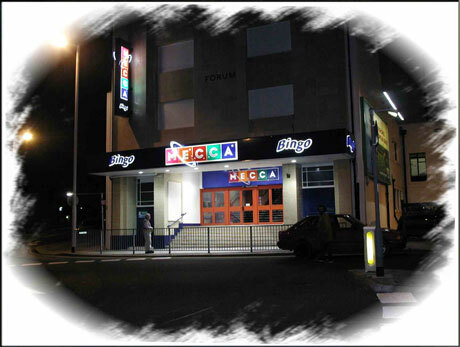 Toward the end of 1960 the building began being used as a bingo hall, a function that continues to the present.